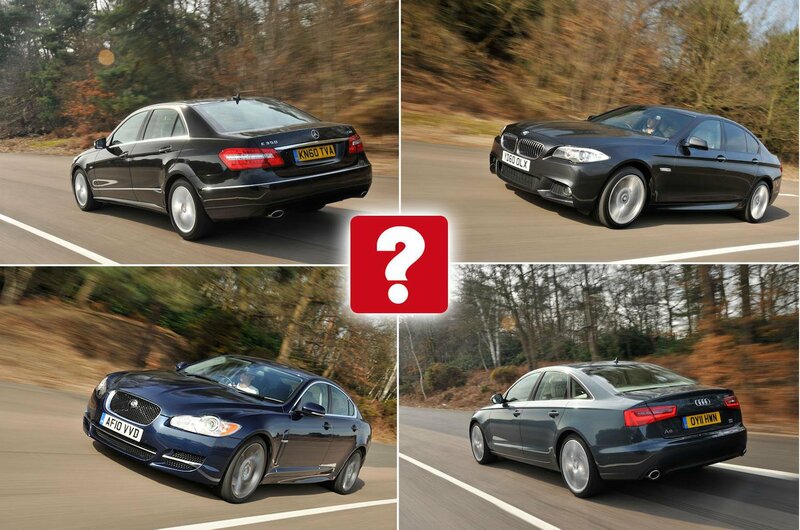 Used test: BMW 5 Series vs Audi A6 vs Mercedes E-Class vs Jaguar XF | What Car? The great news is that every one of these cars is a corker. You won’t be unhappy whichever one you choose. 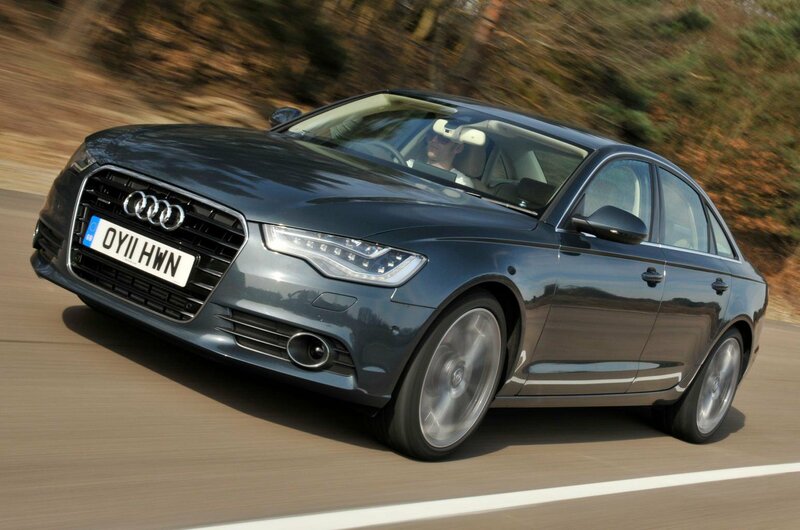 The Audi A6 has a stunning cabin and a strong engine, as well as running costs that are easy on the wallet. 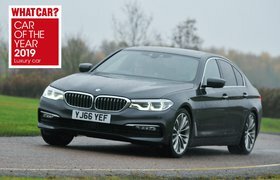 The problem is, unless you can find a car with the rare air suspension option, you have to put up with the least settled ride, as well as quite a bit of wind and road noise, which rather spoils the relaxed ambience a luxury car should offer. It’s also not that much fun, and while it’ll lose you the least money, you’ll have to fork out the most to buy it in the first place. It also looks to be the least reliable car here. For those reasons, it finishes in last place in this test, but only by a whisker. 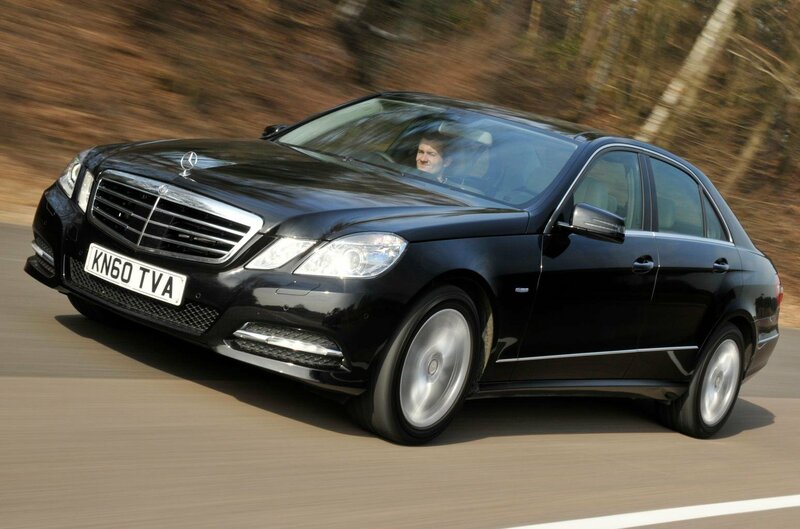 The Mercedes-Benz E-Class is even less perky to drive, but quieter and more comfortable than an Audi on standard suspension. It’s also a whole heap cheaper to buy, it has the best reputation for reliability here, and it’s endowed with a fantastic engine that delivers super-strong performance. All good reasons to buy it, but it’s beaten into third place here as a result of its less-special-feeling interior and high maintenance costs. It’s a toss-up for first place between the BMW and the Jaguar. 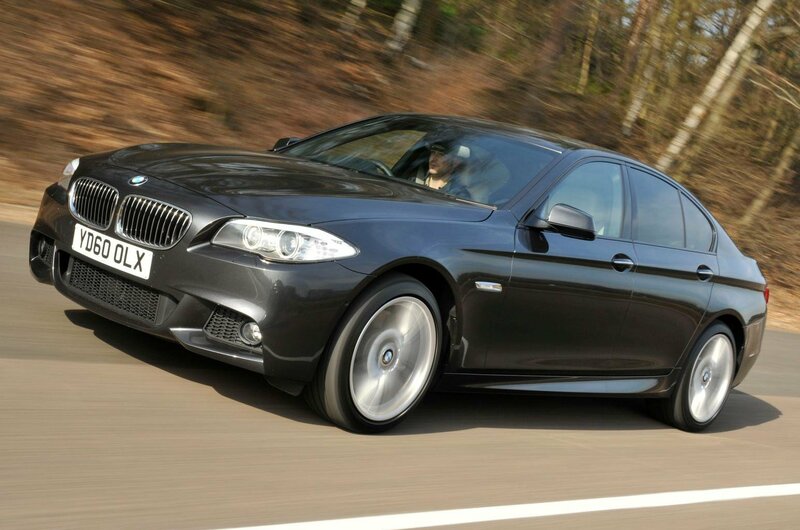 The BMW is the best all-rounder here, with a quiet, luxurious-feeling interior, plenty of space and a fantastic engine. Its problem is that it’s pretty average to drive unless you can find an example endowed with the Adaptive Drive system – and that’s easier said than done. It’s also the second most expensive car here, and not all that cheap to service and maintain either. So it takes second place, with a caveat. If you can find one with the optional suspension package, snap it up. 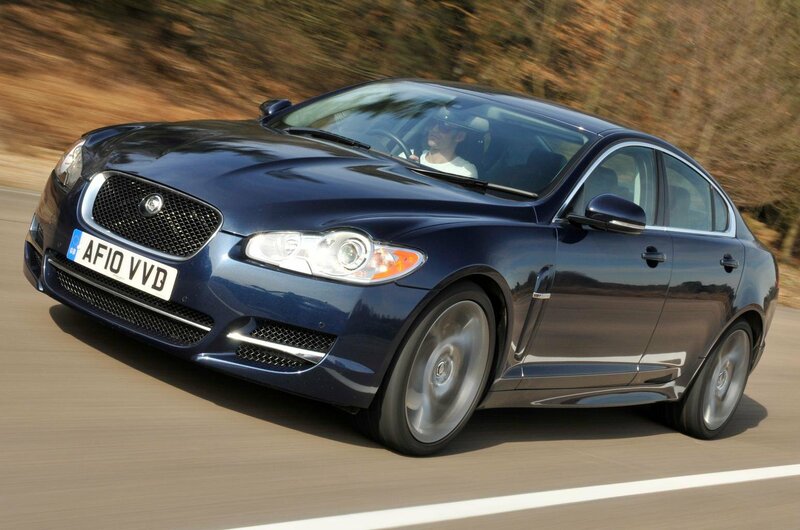 The likelihood is, however, that you won’t – which is why first place falls to the Jaguar. You’ll have to live with some cheaper-feeling interior plastics than the rest, not to mention that infuriating touchscreen. You’ll also pay more to fuel it than it’s rivals, and you’ll lose more on it come resale time. But the XF makes up for that by being cheap to buy and to service. But more than that, it offers something different to the rest, majoring on style and panache and appealing more to the heart than any other car here. Fortunately, there’s substance there to back that up, too; it is by far the most exciting car to drive here, not to mention the most comfortable, and you don’t have to find a car fitted with the most expensive options to enjoy that fantastic blend of ride and handling. 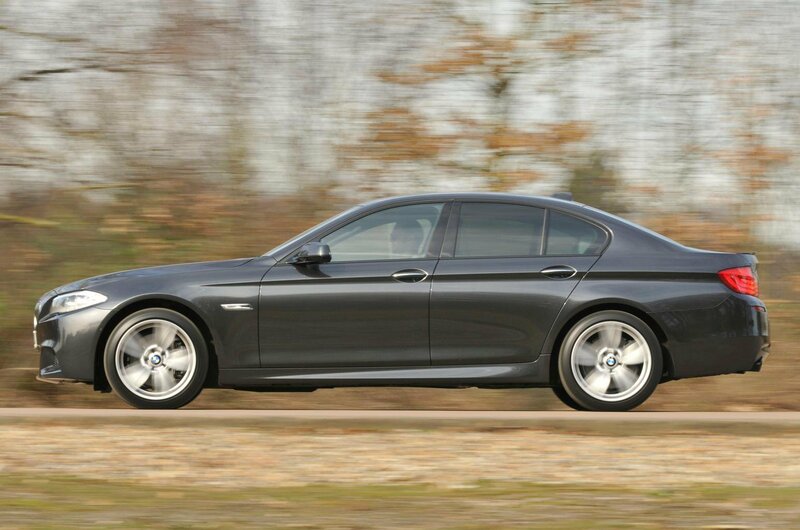 For that reason, it just pips the BMW to first place.